Biomass technology is helping hens in Scotland produce thousands of eggs and create enough chicken manure to generate heat and power. This approach helps power the farm and manage the regular power cuts that affect Glenhead of Aldouran, located near Stranraer, Dumfries and Galloway. 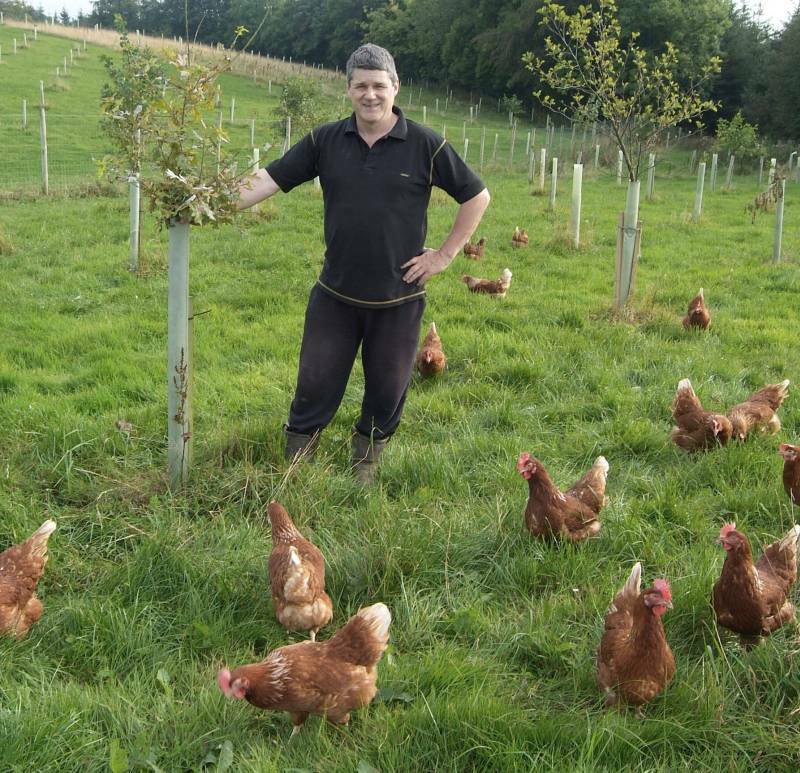 The farm houses more than 128,000 free-range hens in a remote location in Scotland. It uses chicken manure which fires a bed biomass boiler and in turn generates heat and power. The boiler produces hot water at 150°C, providing 750Wth of heat to be recovered by the Organic Rankine Cycle (ORC) system, which is created by technology company 3M. The company's Novec 7100 Engineered Fluid is used to absorb heat from the chicken manure. The Novec fluid is converted into a vapour, which drives a turbine before condensing and being rerouted to the heat source. The average electrical power of 65kWe is used on-site for local consumption., and the condenser side of the ORC runs on warm water with an average temperature of 65°C. The warm water returning from the ORC is used to heat the chicken sheds of the sites, with a distribution system transferring the heat to the different henneries. Furthermore, the ORC machine is equipped with an off-grid cabinet and, in case of power outage, can run in island mode. A diesel generator is used as an emergency unit to assist the ORC and an on-site wind turbine is used for power generation. James Baxter, owner of Glenhead of Aldouran Farm, said: “The chicken manure is processed and the boiler ash can be reused as fertiliser because of its remaining nutrients. “The electricity is used on site to save on utility costs and the chicken sheds are heated with the condensing heat of the ORC, therefore we don’t need a separate wood chip boiler to heat the sheds. “An additional advantage is that our farm is fully independent in case of failure with the grid connection,” he added. The UK is home to one of the largest 3M subsidiaries outside the USA, employing 2,750 people across 17 locations, including nine manufacturing sites.